Rising Star Games’ addictive puzzler Jewel Master: Cradle of Persia has today hit retail. Promising to take match-3 gaming to new heights, it is the next instalment of the best selling ‘Cradle of’ series that serves to reinforce its position within the market. You’ll be tasked with combining three or more tiles to obtain gold and materials necessary to turn a desert settlement into one of the greatest empires in history. The game spans seven historical eras across 100 levels, as you set out to build twenty master pieces from Ancient Persia and free Genie from Aladdin’s Lamp. “We’ve been eagerly anticipating the release of Cradle of Persia as we know fans of the ‘Cradle of’ series will enjoy this one as much as the last, if not more”, explained Martin Defries, managing director of Rising Star Games. “With the all-new puzzles to accompany the resource management, we’re confident players will be picking up this title with the same enthusiasm as its predecessors”. 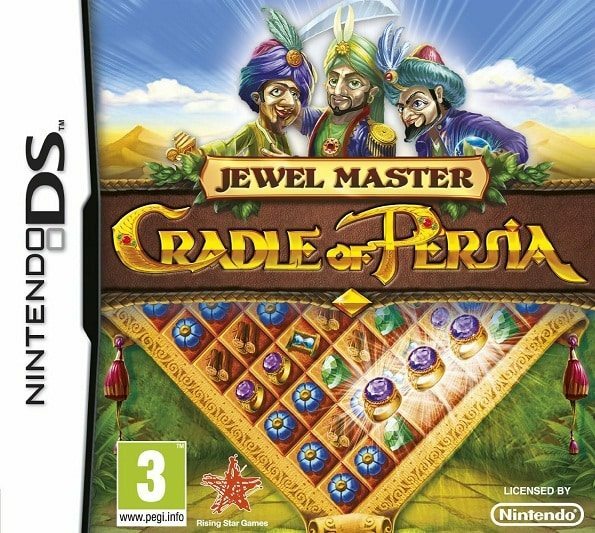 Jewel Master: Cradle of Persia is now available across Europe for Nintendo DS.